Sterling Environmental Services is a full service environmental contractor that was established to provide environmental services to industry and professionals while providing a special emphasis on residential projects. Environmental quality of residential properties has become an increasing concern among lending institutions, regulators, the legal community, and of course homeowners. Sterling Environmental has the experience necessary to insure that your needs are met in an efficient and cost effective manner. 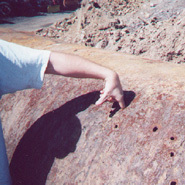 Sterling Environmental is certified for Underground Storage Tank (UST) closure, the installation of entire UST systems, tank testing, subsurface evaluation, and as a corrosion specialist by the NJDEP. A copy of Sterling's certification is included for your review. All of Sterling's on site personnel are properly trained and OSHA certified. Sterling maintains a medical monitoring program and also develops a health and safety plan for each site. But enough about us. What about you, our client? You are provided with a proposal that considers all of your needs and concerns, including financial. Sterling Environmental uses its broad range of experience to review your site and tailor a site specific proposal, free of charge. Your proposal lists a comprehensive Scope of Work that details the work that is to be performed. Your proposal also defines the costs associated with the Scope of Work. If you are concerned about additional costs, don't be. As long as the Scope of Work does not change, the costs will not change. Should the Scope of Work change, you will be provided with a written estimate which must be approved by you prior to the implementation of any additional work. At Sterling Environmental, we want you to be secure in the fact that you have made the right choice. We will take the time to go over regulations and options so that you can understand them; and in the end, the decisions are always yours.